The Queen’s Hope Diamond has been stolen! It’s up to you to search for clues throughout 22 levels, find the offending culprit, and recover the stolen gem. 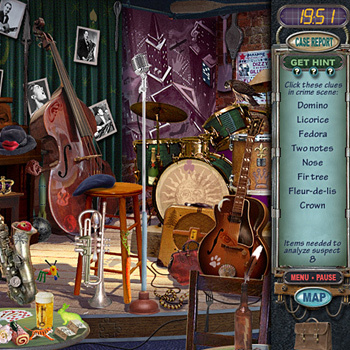 Expand your investigations through the game’s 29 unique locations by finding items that will unlock subsequent levels. Thousands of clues are cleverly hidden within the beautiful illustrations, creating a new game experience each time you step into this masterpiece of visual indulgences!